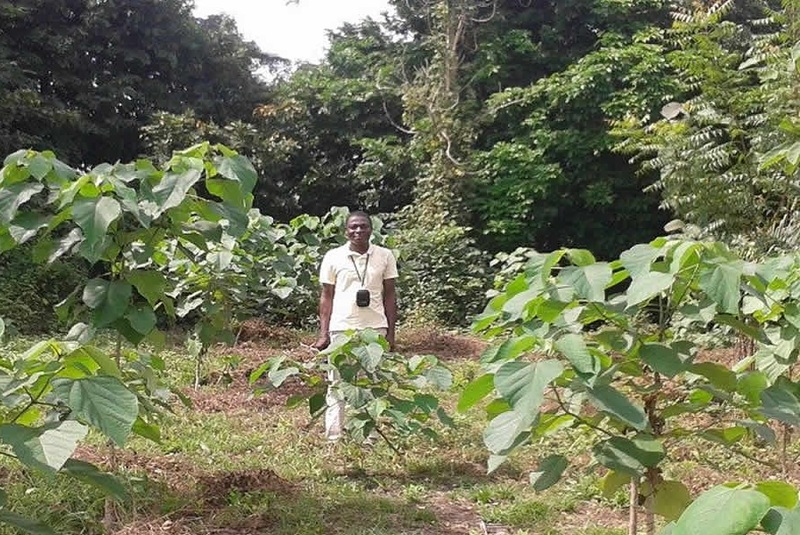 The Institute of Cultural Affairs ICA Togo, using its own funds, has already planted 8000 teak plants on two school plots at Hové and Tokpanou, situated 50 km from Lomé, the capital. 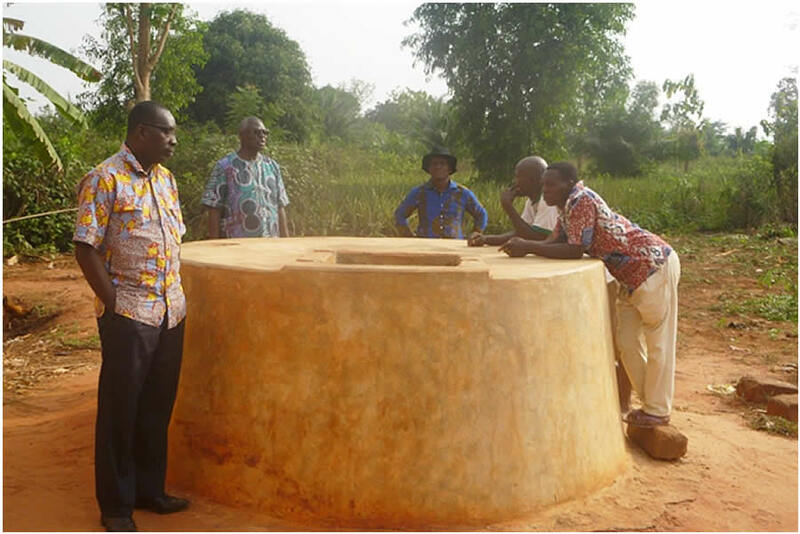 The board members of ICA Togo, went to the Hové site in February. The purpose was to verify how the community had been using teak with regard to a request made by the school there, in 2015. The school had wanted to repair the roof of one of the buildings. ICA Togo had authorized them to cut a certain number of trees for the repair work. Along with the cut trees, and iron sheets they bought, the school was able to repair the roof. They were also able to build a water tank for the school. The trees cut were replaced by others that are growing well. Another visit was made to Gbatopé, a locality situated 45 km from Lomé. ICA-Togo planted trees there on the banks of the river Lili last year. The trees cover an area of 20 hectares along the banks. The height of trees that average 1.6 meters in height, are not a problem. But some of the slow growing ones, between 50 to 60 centimeters are sometimes damaged by people or are planted in poor soil. The coming rains will hopefully help the trees grow and enable us reach our objective, which is to have a gallery forest along the river Lili. 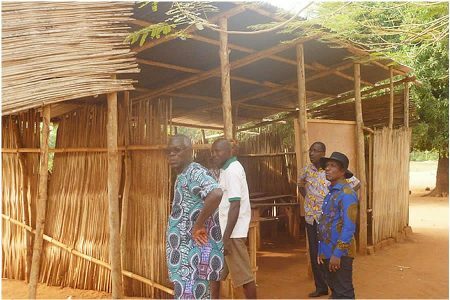 Beginning in March 2016, ICA Togo reconstructed the Gallery Forest, on one of the banks of the river Lili, located 6km from Tsévié. 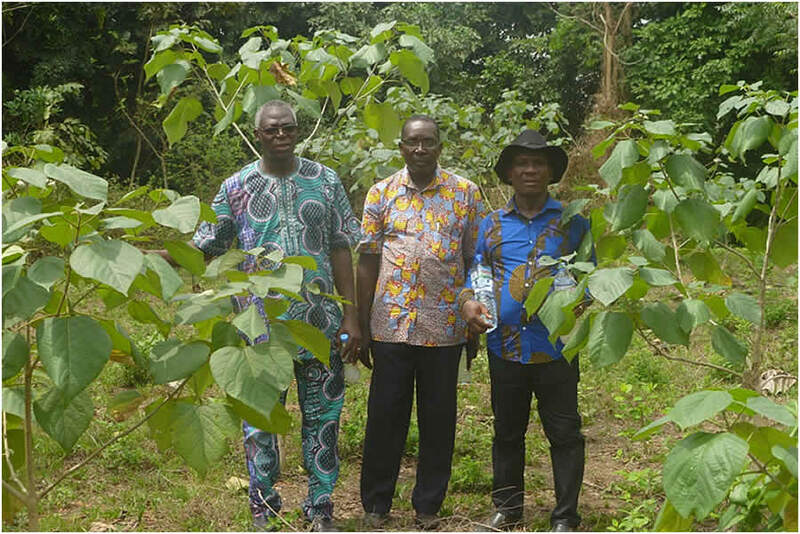 On a total area of 20 hectares, 29,000 plants composed of six botanical species: Gimelina arborea, Terminalia catapa, Khaya senegalensis, Cola nitida/grandifolia, Senna siamea, and Terminalia superba, were planted. In January we received a delegation of the government of TOGO, led by the Minister of the Environment Mr. André Johnson. 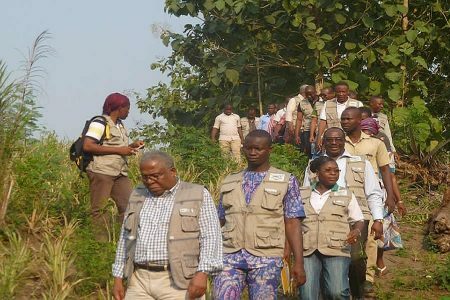 The minister declared that ICA Togo has produced a model of a Gallery Forest. The picture above shows the visit of the Minister. 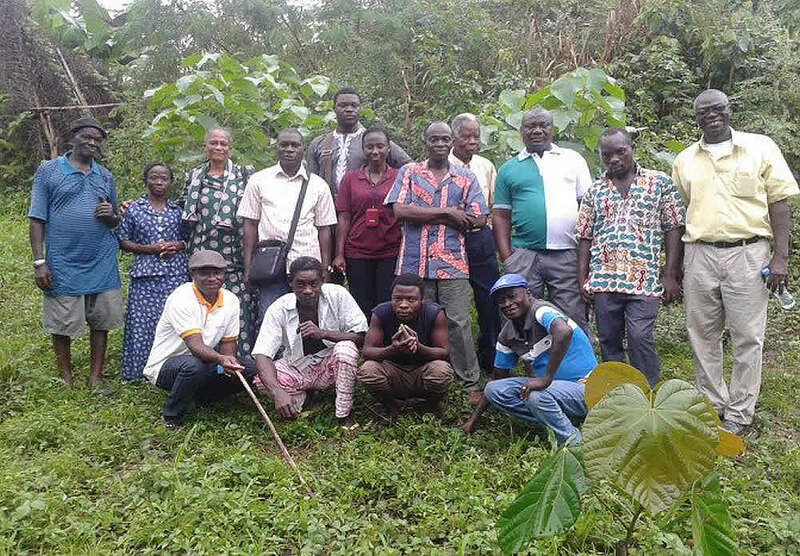 Left is Samuel K. Adonyon, Treasurer of ICA Togo and the executive director of this project on the site, and right are members of the West Africa ICAs and the Gbatopé community members on the site.